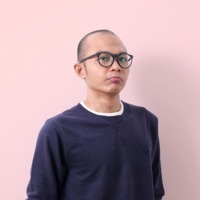 Firman Suci Ananda is visual designer and art director at Unidaas Studio who regularly explores about digital design, graphic and editorial design. He had the privilege of working and delivering digital products for worldwide brands. His work has been featured in magazines, books and design blogs including Abduzedo, Sandu Publishing, Asia-Pacific Design Book No. 14 and more. He is Partner of Unidaas Studio and working as a Design Director and collaborate to designing a typefaces.